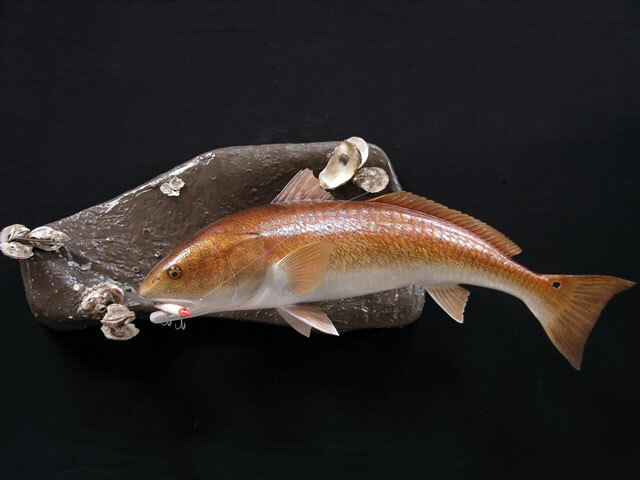 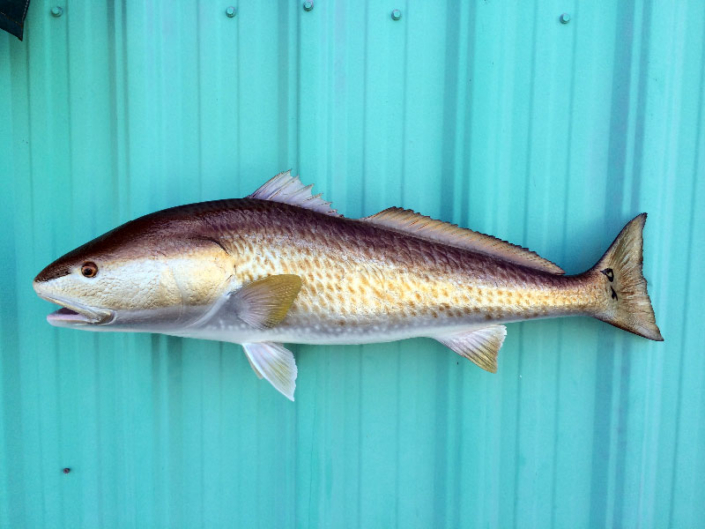 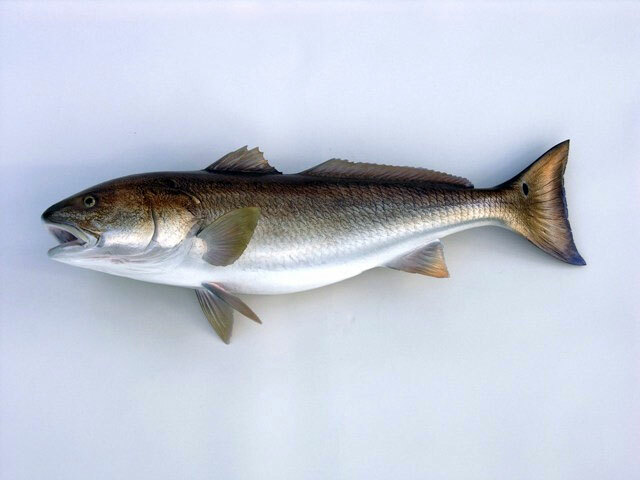 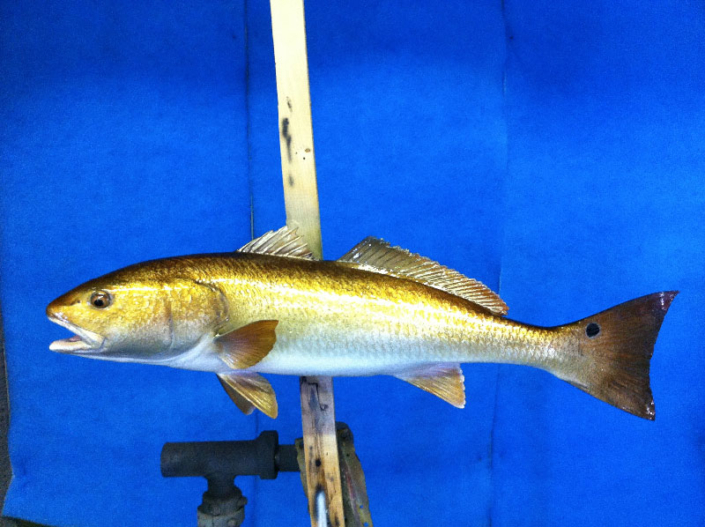 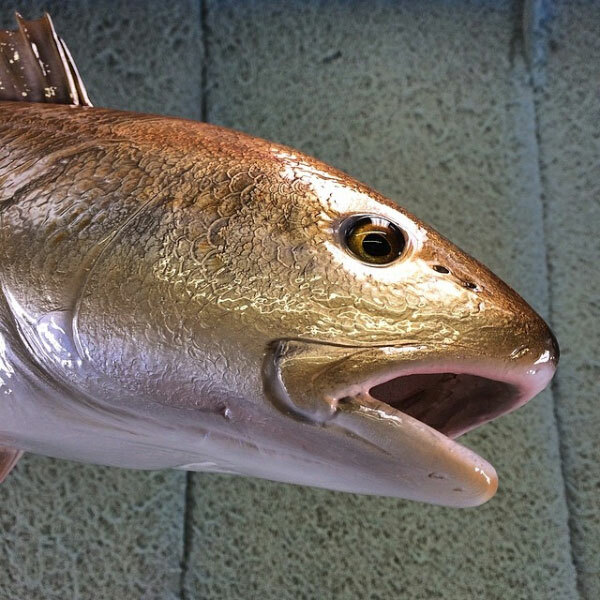 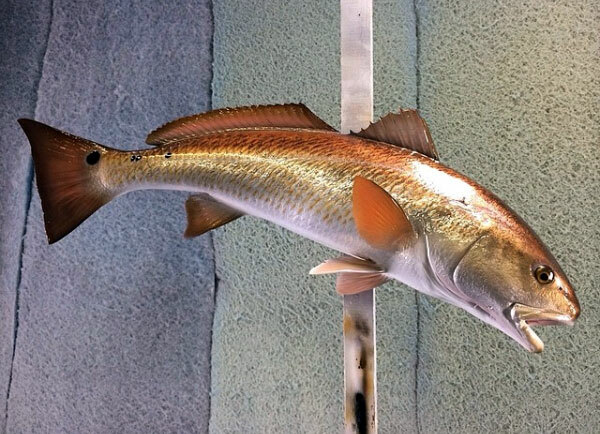 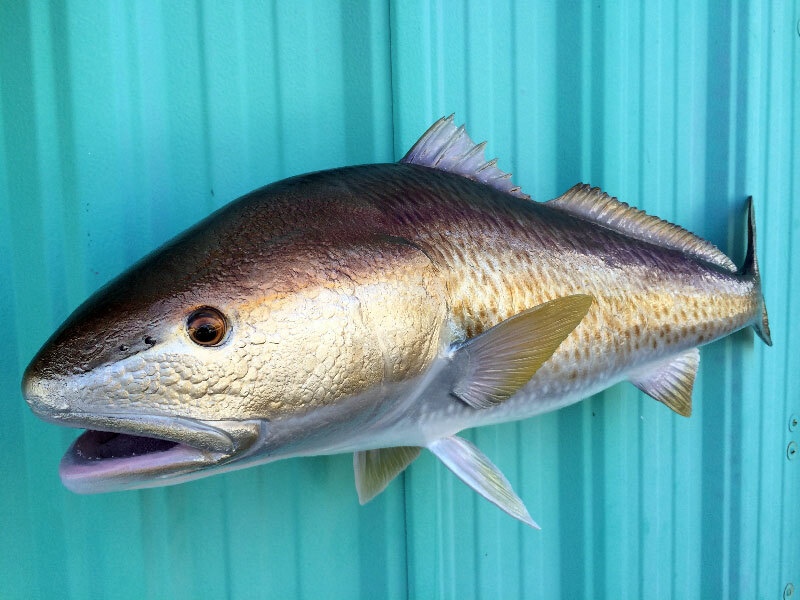 The red drum (Sciaenops ocellatus), also known as channel bass, redfish, spottail bass or simply reds, is a game fish that is found in the Atlantic Ocean from Massachusetts to Florida and in the Gulf of Mexico from Florida to Northern Mexico. 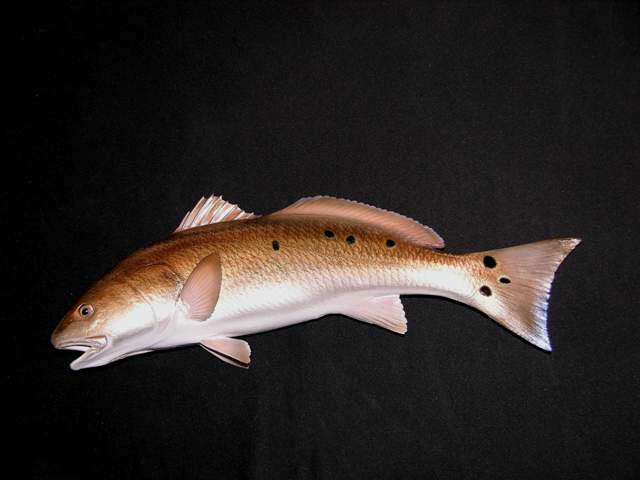 It is the only species in the genus Sciaenops. 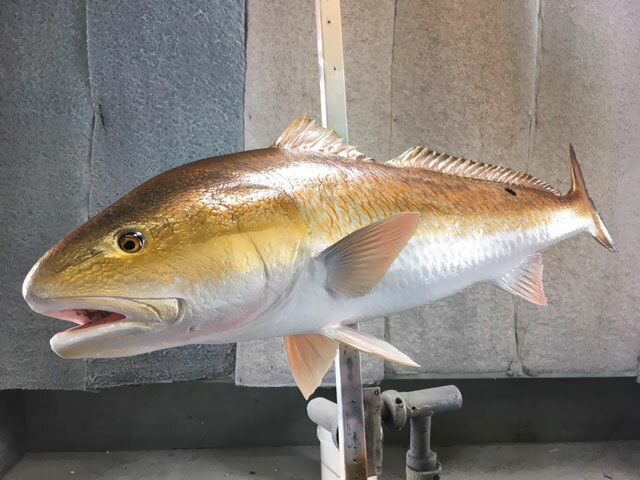 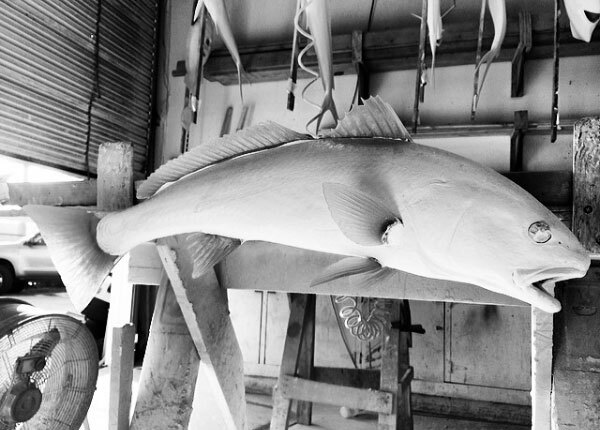 The red drum is a cousin to the black drum (Pogonias cromis), and the two species are often found in close proximity to each other; they can interbreed and form a robust hybrid, and younger fish are often indistinguishable in flavor.